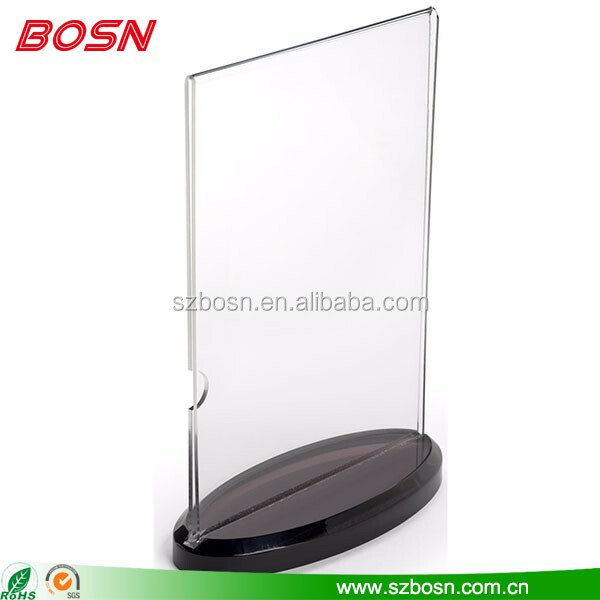 5.5" x 7.5" x 2.6"
Showcase menu designs or special announcements with a table tent holder with thick acrylic. An oval base with a smoked coloring provides a sleek appearance while taking up minimal tabletop space. 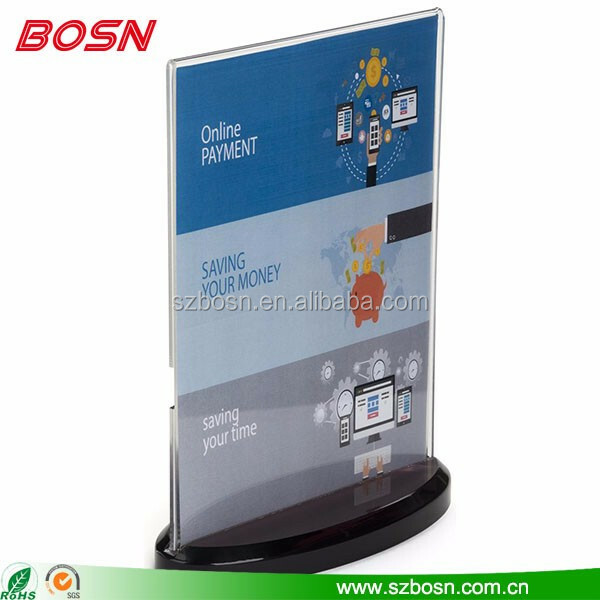 The side loading table tent holder offers a double sided frame for 5” x 7” signs. Useful for a variety industries ranging from restaurants to trade show to retail shops, switching out product or menu designs as needed is easy. Polished edges offer a smooth finishing touch that accents a graphic sign. A timeless design allows this table tent holder to maintain years of use! Size 5.5" x 7.5" x 2.6"